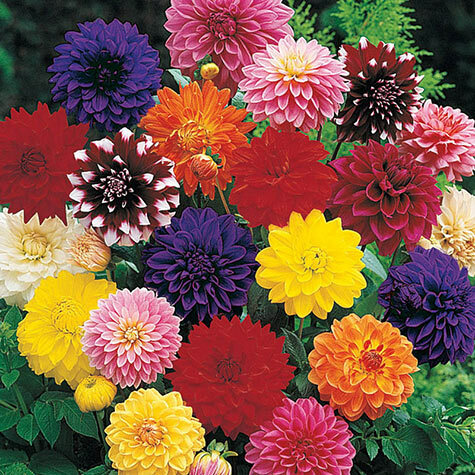 Decorative Dahlia Mix | Gurney's Seed & Nursery Co.
Light Required: Partial shade to full sun. 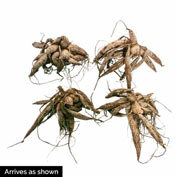 Zone: 9 - 10; tender tuber. 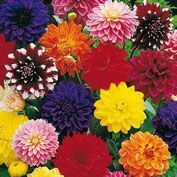 Comments: Big bright blooms in a rainbow of colors light up the Summer garden. Strong stems hold blooms upright. They bloom continually all Summer into Fall.